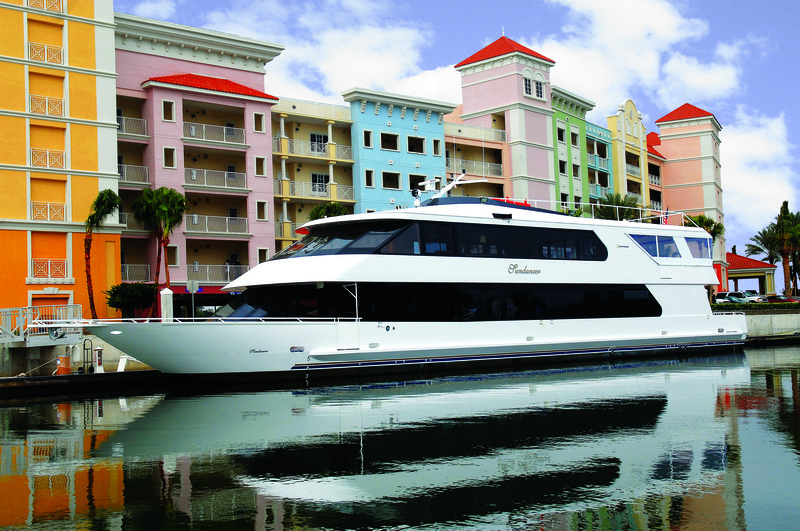 Celebrate Easter Sunday with brunch buffets aboard Hammock Beach Resort’s Sundancer Yacht or overlooking the Atlantic Ocean at the Atlantic Grille. Enjoy Easter with a brunch buffet while cruising the Intracoastal Waterway. Hammock’s Sundancer Yacht will board at 9:45 a.m. on April 20, 2014 and cast off at 10 a.m. The brunch buffet includes seasonal fruits, ricotta cheese blitzens with almond cream and mandarin oranges, a fresh seafood display, a chef’s dessert table, live entertainment and much more. The cost is $47.50 for adults and $15 for children (ages 4 – 12). Reservations are required by calling (877) 446-6465. For more information about Hammock Beach Resort, please call (866) 841-0287 or visit www.hammockbeach.com.